How many projects are you managing now? One? Five? More? Are they small and numerous or large and complex? Both? If you are managing multiple projects, chances are you’ve never done it before. You’ve probably never been trained for this level of complexity. Do your bosses know what they want? Didn’t think so. Are there are large number of unknowns in the project equation? That many? What about the project budget? Not adequate for the job? You’re still completely responsible for the results, aren’t you? 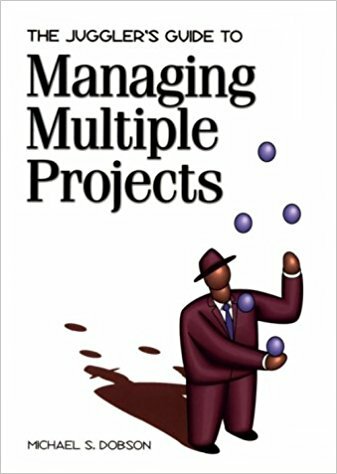 The Juggler’s Guide to Managing Multiple Projects give you clear, sequential steps, worksheets, tips, exercises, easy-to-follow advice, and reassurance —lots of reassurance— that you can construct a new building, move the company’s computer center, publish a magazine, and handle the full range of multiple projects that have quadrupled your job description!